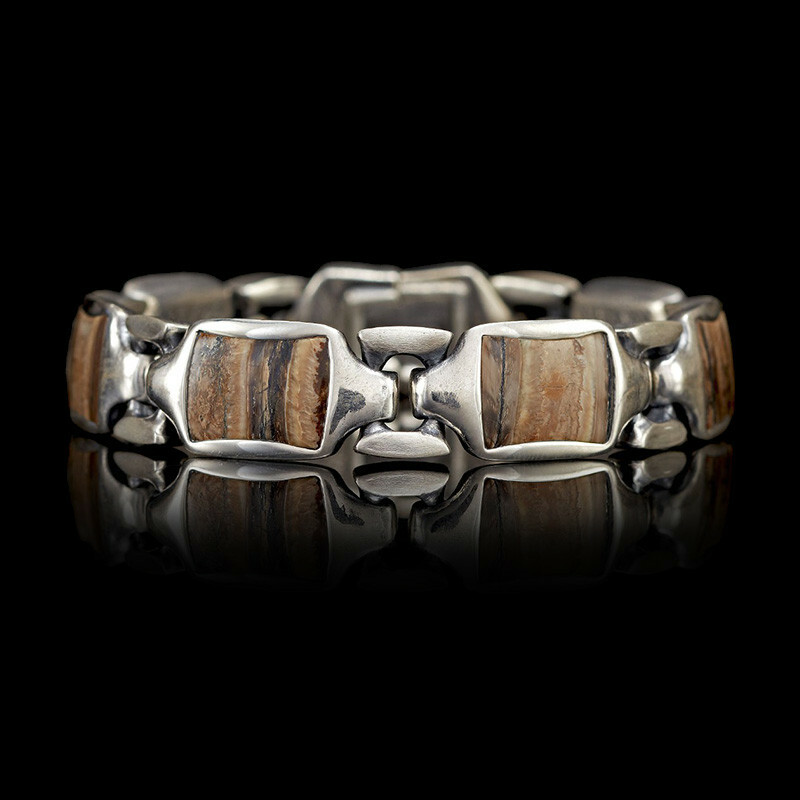 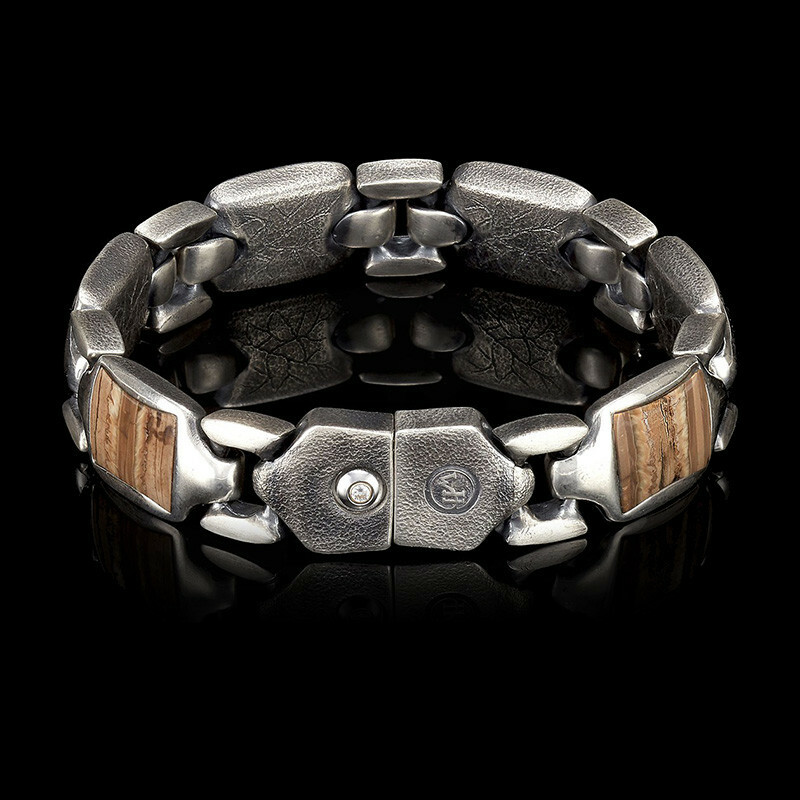 This men's bracelet, part of the On The Wrist collection from William Henry, has a timeless elegance. 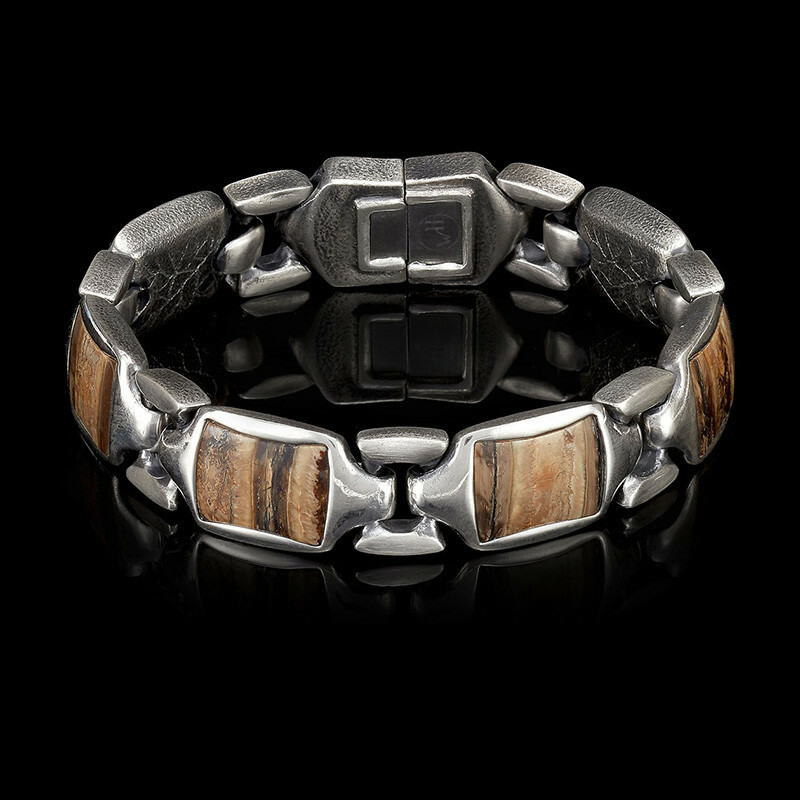 Crafted in sterling silver, it features an inlay of fossil woolly mammoth tooth and a stainless steel button lock closure with blue sapphire inset. 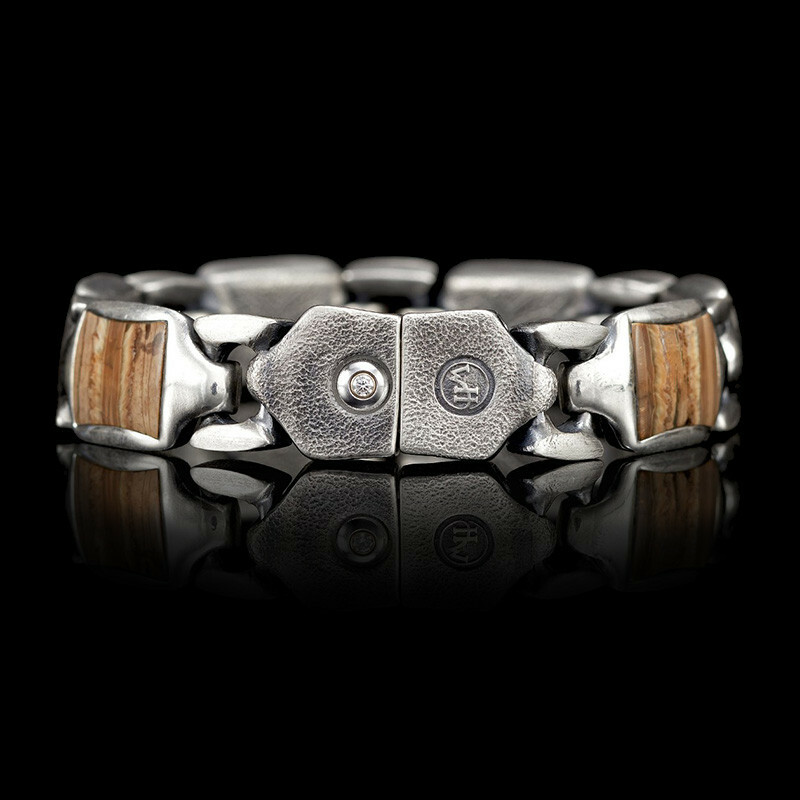 This William Henry bracelet goes with everything and is appropriate everywhere!